Optima Kierland, a 10-story boutique leasing tower in the North Scottsdale Kierland neighborhood, hosted its grand opening in February. Pre-leasing for priority list registrants is now underway for the luxury high-rise community where residents will begin moving in late April 2017. Located at 7160 East Kierland Boulevard, 7160 Optima Kierland includes 150, studio to three­ bedroom residences, ranging from 595 to 1,795 square feet. Available for 12- to 15-month lease terms, the rental rates range from $1,425 to $5,275 per month. Thirteen floor plans are available, and all residences feature designer materials and fixtures, nine-foot ceilings (10-foot in penthouses), large terraces and floor-to-ceiling high-efficiency windows throughout. Optima’s signature vertical landscape gardens cool outdoor and indoor spaces and offer privacy. Four distinctive designer finish packages are available with granite or polished quartz counters, wine refrigerators, large format wall and floor tile, Kohler fixtures and stainless steel appliances with gas cooktops. 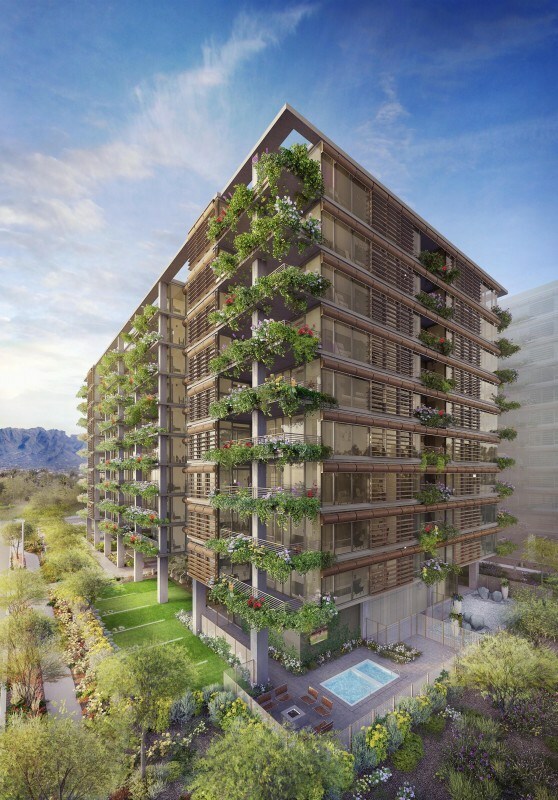 The 5.5-acre lushly landscaped grounds at Optima Kierland include walking paths, a pet park, a sculpture garden and shade trees. Kierland Commons and Scottsdale Quarter shopping centers, with their abundant shopping, dining and entertainment offerings are steps away. For additional information, call 480.630.1400 or visit ‘Nww.optima-kierland.com.